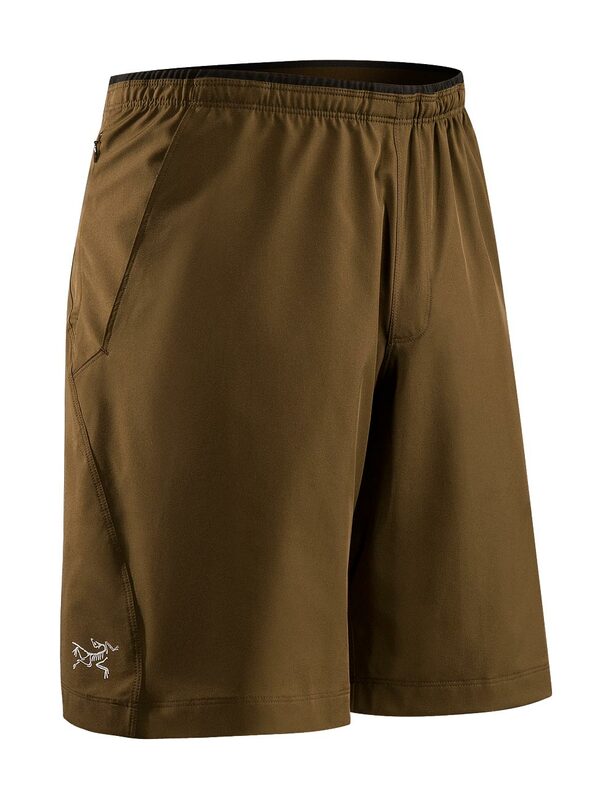 Arcteryx Donegal Brown Torus Short | Arc'teryx Men Online Sale! Endorphin/Fitness / Running These hard wearing but relaxed-fitting shorts perform on both the crags and trails. A wide elastic waistband with drawcord adds comfort, a zippered pocket on the hip lets you store small items, and quick drying Fortius fabric helps disperse perspiration making it an ideal short for trail running, climbing, swimming and other water sports. 23 cm inseam Fortius ��Nylon/Spandex blend Machine wash in cold water.